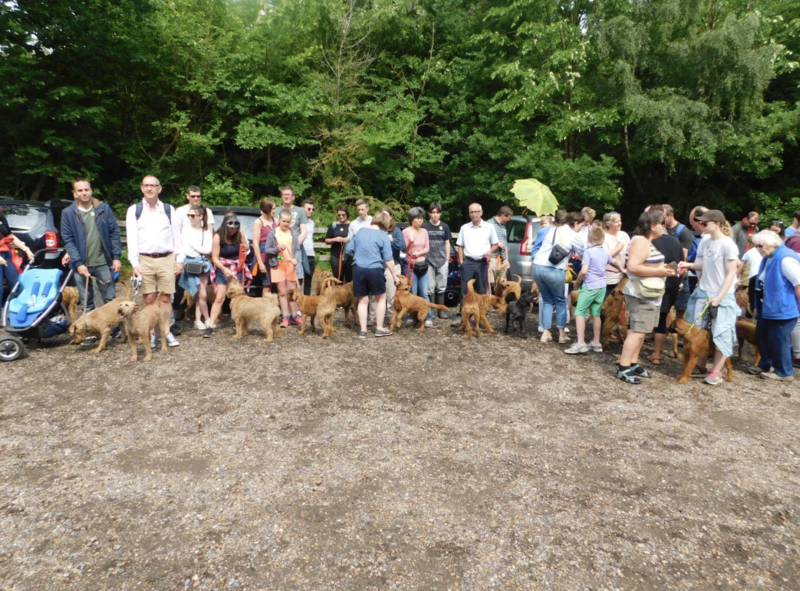 We were overwhelmed by the numbers who turned up. 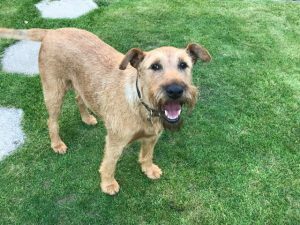 It’s more people and terriers every year! 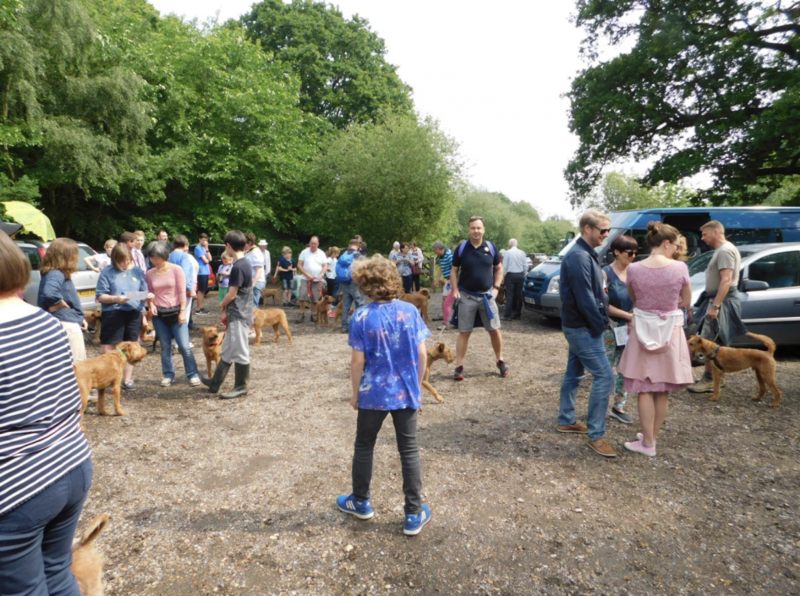 We had 67 dogs, (62 Irish Terriers) and over 130 people do the walk today. It gets bigger and more popular every year. Pet people just love it, the dogs love it and we made quite an impact as we walked around the Park. All the dogs and their owners behaved impeccably and were taking about seeing friends that they had made, again in 2019. Weather was very warm, humid but dry so lots of ice creams were devoured at the post office tea rooms. Lots of tired dogs and kids went home afterwards. The walk was a huge success, once again.